Are you looking for a Drone Rental Company? 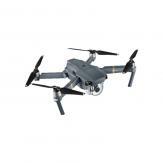 We have the best prices for Drone Rental in Saint-Petersburg. Also you can to Hire a Pilot in our company - If you want someone else to pilot a drone and get the footage you need.